M=(wrist)ø16-17.5cm / L=ø18-19.5cm / XL=ø20-21.5cm. Other size: contact@soulfetish.com. 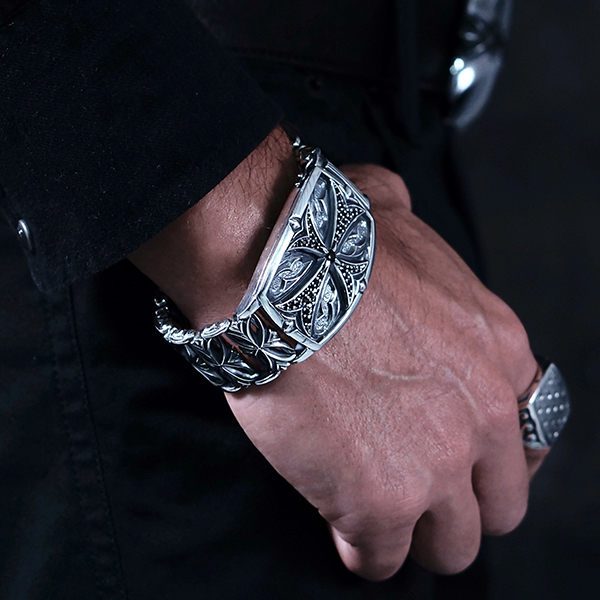 Luxurious articulated bracelet with central piece used as a clasp and adorned with a Maltese cross paved with cut stones.